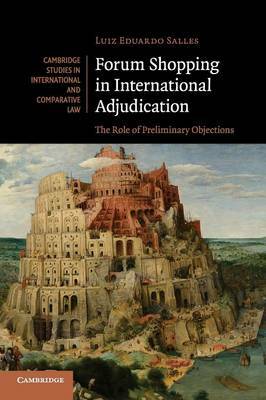 Forum shopping, which consists of strategic forum selection, parallel litigation and serial litigation, is a phenomenon of growing importance in international adjudication. Preliminary objections (or a party's placement of conditions on the existence and development of the adjudicatory process) have been traditionally conceived as barriers to adjudication before single forums. This book discusses how adjudicators and parties may refer to questions of jurisdiction and admissibility in order to avoid conflicting decisions on overlapping cases, excessive exercises of jurisdiction and the proliferation of litigation. It highlights an emerging, overlooked function of preliminary objections: transmission belts of procedure-regulating rules across the 'international judiciary'. Activating this often dormant, managerial function of preliminary objections would nurture coordination of otherwise independent and autonomous tribunals.